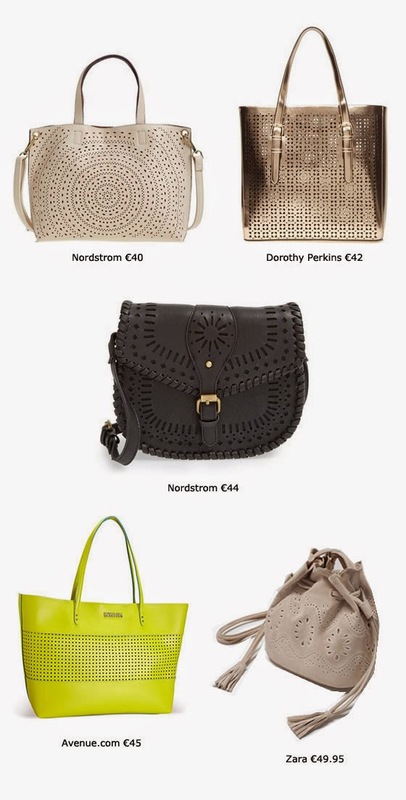 I don’t know if you have noticed but I have been seeing a lot of perforated bags. 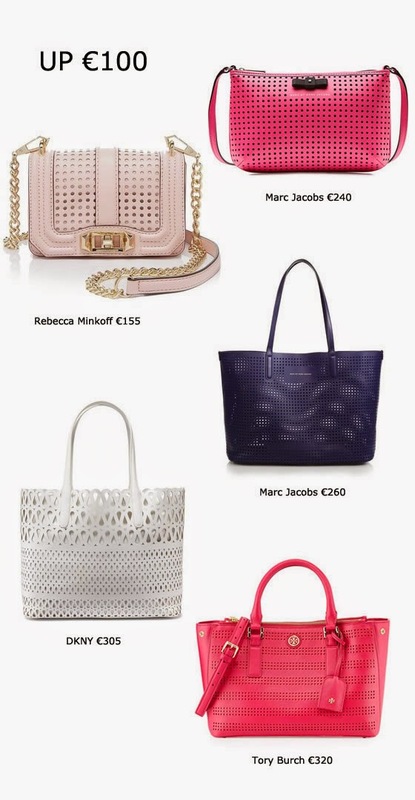 I found its one of the biggest accessory trends for summer 2015 and from little more than €20 or a little less than €4.000 you can get your own! It all depends on the budget, off course, but if you don’t care about brand names there are a lot of cute ones in the more popular retail stores. 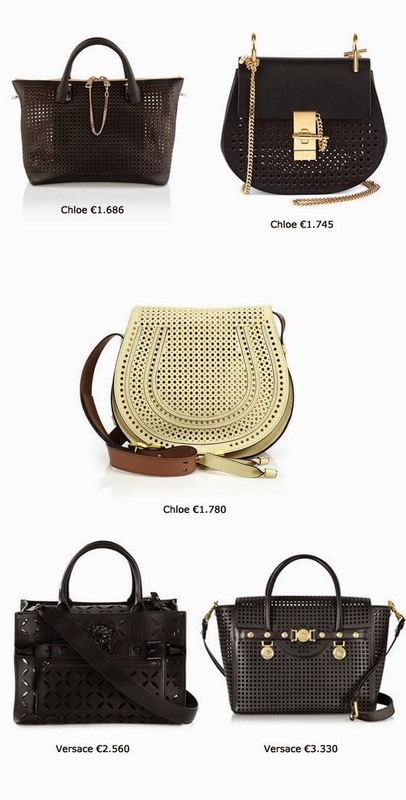 Check my shopping selection where you can see perforated bags from cheap to chic! Adoro este género de malas. Dá um estilo super giro! Gosto! Vou acrescentar outra marca que tem malas bem giras neste registo a PRIMADONA. Para a semana vamos começar a usar esta marca nos nossos visuais.